The lovely client came to The Billington Partnership via recommendation from a previous client and well known interior designer, Camilla Johnson. 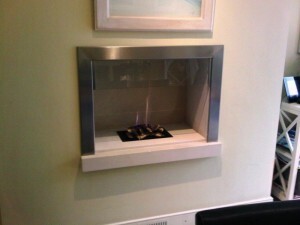 The client needed help with a limestone fireplace refurbishment. 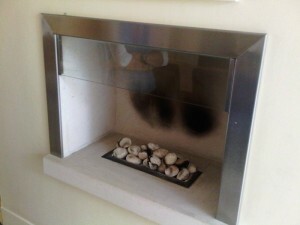 The client had been having some problems with their existing limestone fireplace from when it was first installed. In addition, the gas fire had left a large and unsightly carbon deposit on the back wall. 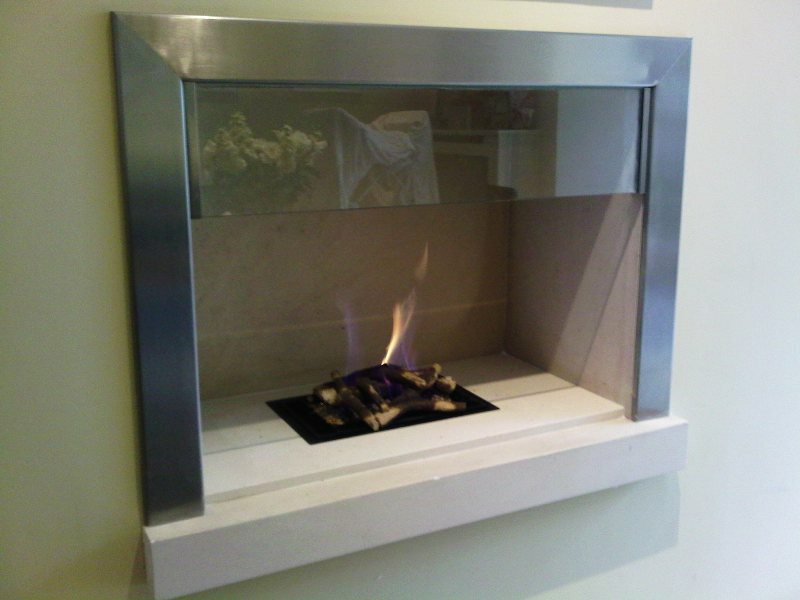 We suggested to simply lay a new piece of limestone on top of the existing base and to supply a new and improved gas fire. However, once we started on the installation, we soon discovered some nasty surprises. These included the control being perched on top of a cardboard box under the fire and the whole surrounding frame in unprotected wood – not great for a live gas fire! We cleaned up the fireplace and protected all the frame in a non combustible material. Finally we installed a new remote controlled gas fire.